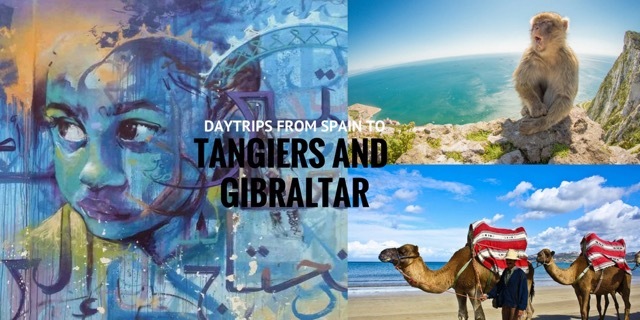 When we organise custom trips in Spain for clients from the US, Canada or Australia, we often suggest and frequently get asked about popping over the border to see Gibraltar or making a daytrip to Tangiers. Both destinations, which couldn’t be more different, can be quite easily included in a Southern Spain itinerary and make excellent add-ons especially in the company of one of Totally Spain‘s local expert guides who will make sure you get the essence of the place and its people in just a few hours. 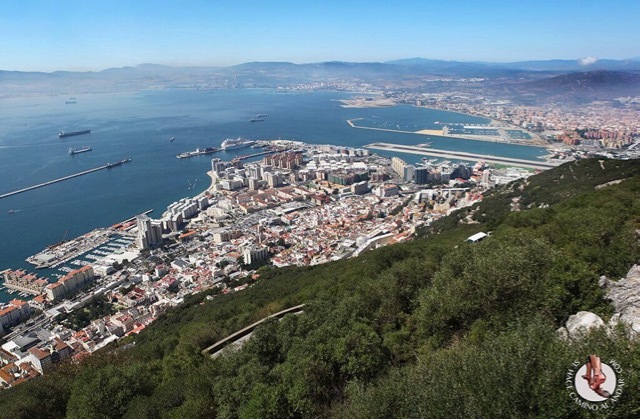 Why Visit Gibraltar and Tangiers from Spain? When you think of tourism in Morocco, you may think of Fez, Marrakech and Casablanca but because of its proximity to the Spanish coastline, we recommend Tangier city for a daytrip. Obviously, as the first major city inside the Morocco border, it is busy with tourists, but with the right guide, you can enjoy a real taste of North Africa in very little time! We think it’s best to visit in late Spring and early Summer when temperatures are in the 20s. If you must travel in July & August, make sure to book your ferry and guide well in advance and prepare yourself for the heat! It takes just 1 hour to cross from Tarifa (Cadiz) to Tangier by ferry. 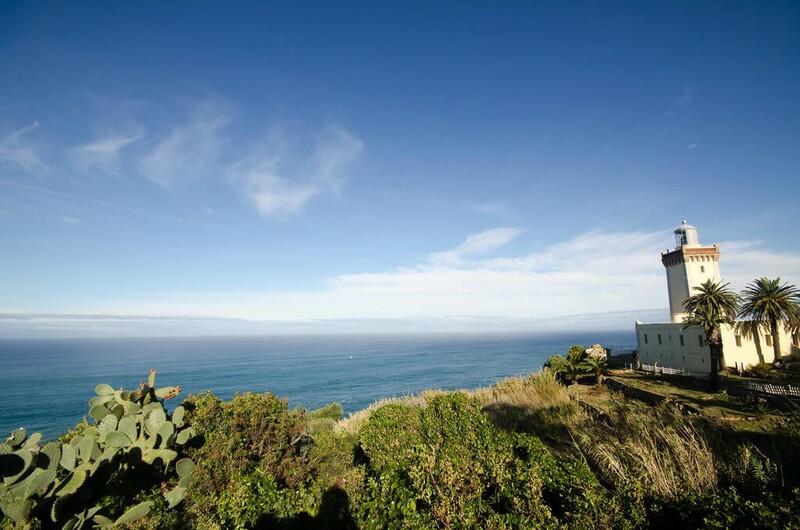 Tarifa is a two-hour drive from Seville, Malaga & Ronda. If booking with Totally Spain we’ll advise you on the best way of getting to and meeting the ferry whether you are driving yourself or are with one of our private drivers. Remember that Tangier is one hour behind Spain so the time you leave Spain is the same time you arrive in Morocco. The most obvious activities on your checklist will be to explore the atmospheric grand souk (the big market), a visit to a Berber pharmacy (for spices, oils, cosmetic products as well as medicines), a visit to a carpet dealer if you wish, and a stroll around the Kasbah (a citadel or fortress). You’ll spend most of your time in the medina or old town which, if it looks familiar, might mean you’ve seen The Bourne Ultimatum or Inception! Extras to add include a visit to a fabric co-operative, one of the museums or retracing the steps of the Beat Generation in Tangier. 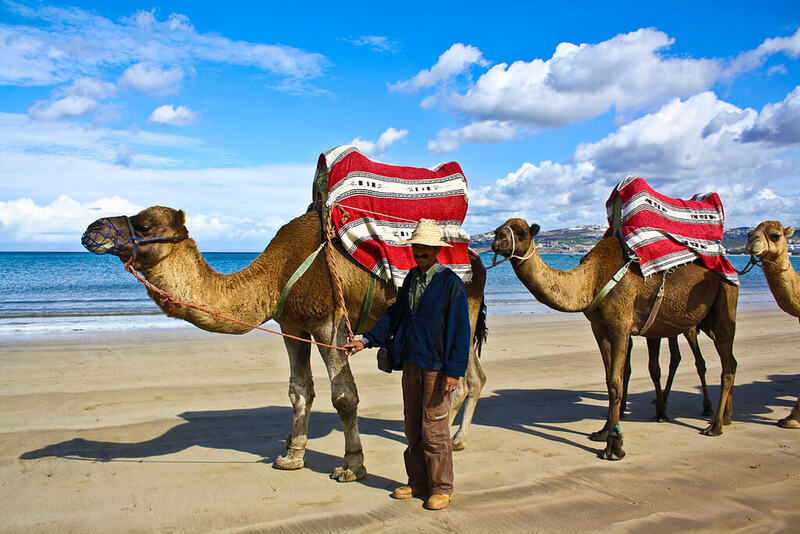 5 Should I pre-book a guided tour in Tangier? Yes. At Totally Spain we always recommend travelling with a pre-booked private guide and especially when in a new country for such a short period of time. Don’t leave it until you arrive to look for a guide as you could find yourself on a tour of the shops where your guide receives the best commissions rather than a tour of the city. If you choose to travel without a guide, prepare to be pestered by hawkers in the ferry port area. But once you get into the city centre you’ll generally be left alone. For those familiar with hawkers in India, Tangier is very mild in comparison. 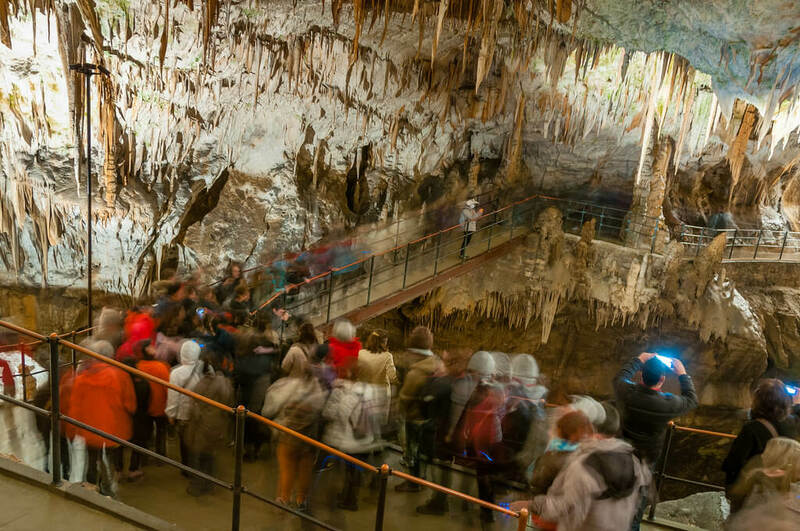 Group tours are available too and may suit some people for the convenience but be aware that their itinerary is 100% locked-down and you’ll have little or no time for personal wandering. Want a sneak preview of what you can see with Totally Spain’s expert local guide & private driver who will meet you and drop you off at the ferry? An Insider tour of Tangier city centre where your guide will lead you through the Kasbah, the medina and souk. You’ll see the classic hotel that featured in the Sheltering Sky movie, the famous cafés that date back to the 1920s and where Jimi Hendrix hung out, and the sights associated with the Beat Generation and writers such as Paul Bowles and William Burroughs who made Tangier their home. You’ll also visit the Tangier American Legation Institute now a museum that perfectly captures the atmosphere of intrigue and espionage during the Second World War. 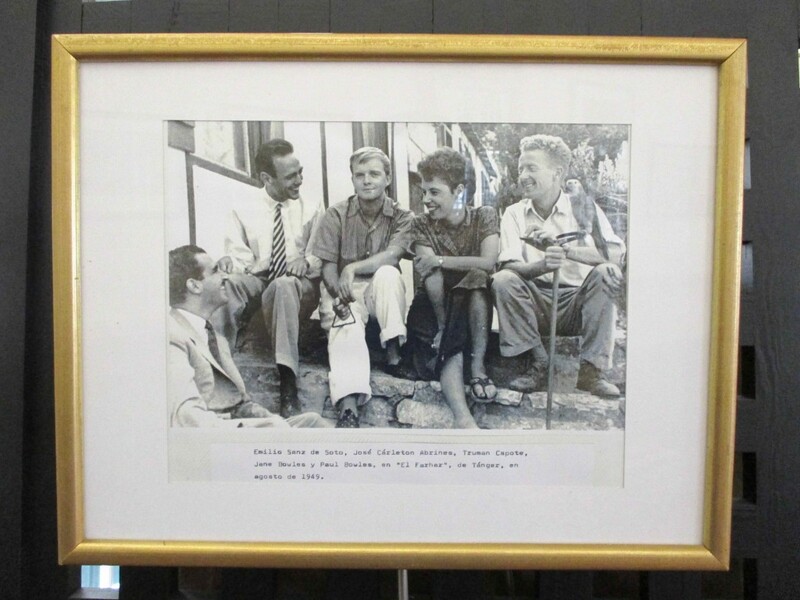 There are some terrific photos here of the aforementioned writers in addition to Truman Capote. A special Moroccan lunch with wine in a lovely setting that vividly recalls the bygone era of the early 20th century. A scenic drive travelling up the Montagne Vieille or ‘California’ as it’s known by locals which overlooks the Straits of Gibraltar and the city and is the most luxurious residential area of Tangier city. Here can be found the luxury boltholes of some very prominent people which our guide will tell you about including King Mohammed VI of Morocco whose summer residence is here. A visit to the Rmilat viewing area and Cape Spartel, the most northern point in Africa where you can enjoy fine views and a refreshment. From here travel along the coast by Achakkar Beach. You’ll stop and have the chance to see camels and enjoy a short camel ride and/or photo opportunity if you wish. After you’ll visit the Grottes d’Hercule (Hercules Cave) with its most unusual opening, shaped like the map of North Africa. 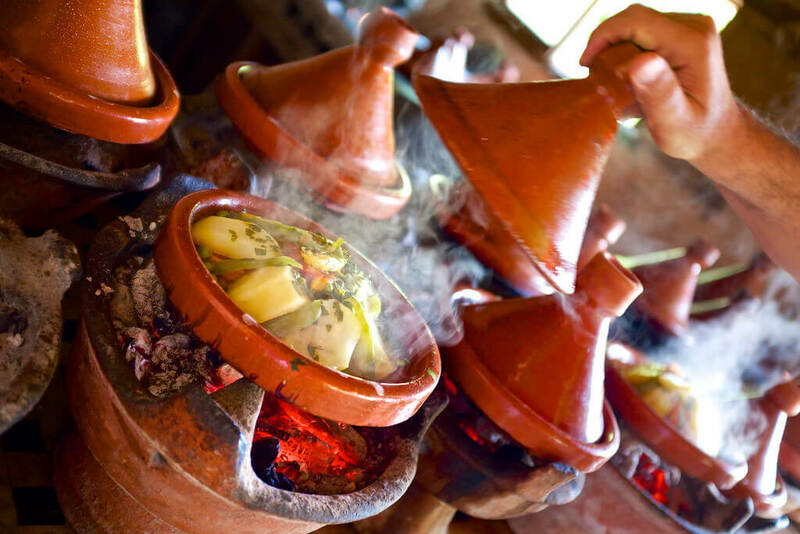 In addition to visiting a tea house, and enjoying the food on show at the souk, you will have to try a traditional Moroccan restaurant where you’ll be able to try the local staples including harira (soup), tagines, couscous and of course Moroccan whiskey aka mint tea. Our local guides know the best restaurants and can find the right place for you and your group – whether that’s a meal with a view, a restaurant with a famous past, a new up and coming fusion chef or a place with both an international and local a la carte menu. Vegetarians will have no problem being catered for in Tangier. 8 Is a daytrip to Tangier enough time? 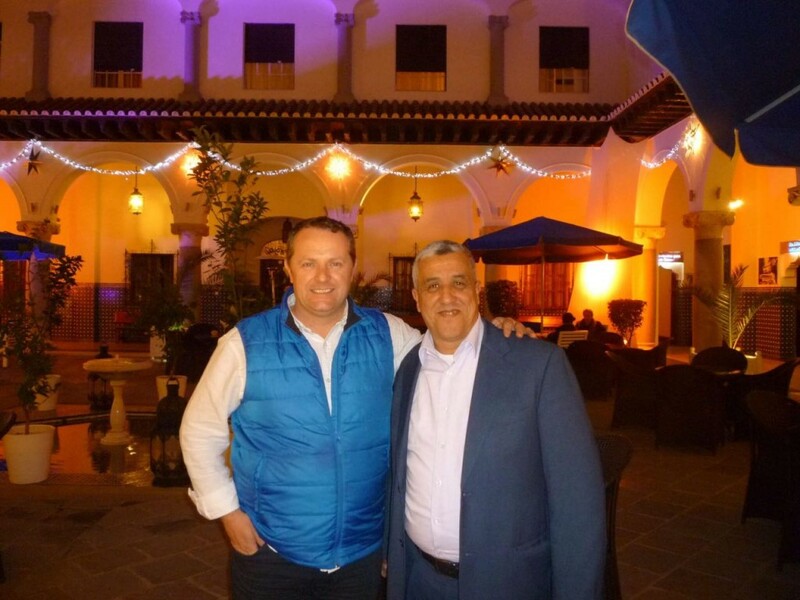 It is enough to get a sense of Morocco – how people live and work and how they relax. It’s also enough to dip into the country’s gastronomy and culture. If you want to overnight, you could also factor in a trip to nearby Asilah famed for its walled medina, beaches and Portuguese influences. Tetuan, just 70km from Tangier, is also worth visiting for its souk and its Jewish quarter. 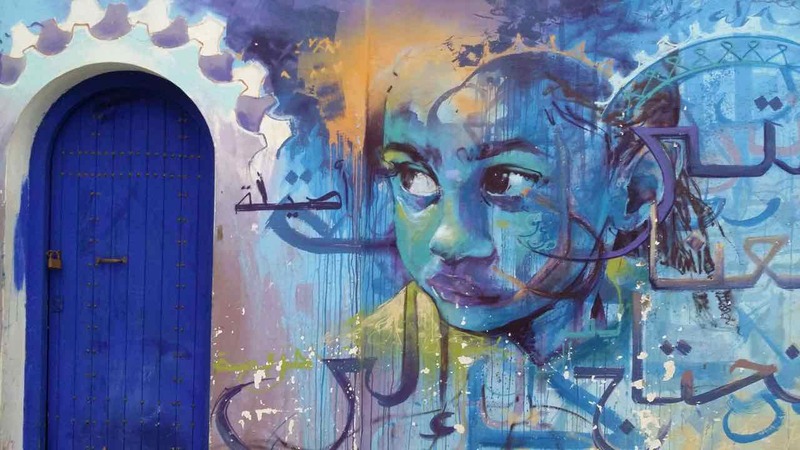 While Chefchaouen is worth factoring in for it’s beautiful winding streets and homes all painted white and royal blue. A photographers dream! Spanish and English is spoken widely here. Remember you are leaving the Spanish and the European Union border so make sure you can enter Morocco with your passport. You also need to change currency and you’ll find a bureau de change at the ferry port where you can swap your Euro or any other major currency for Moroccan dirham. Custom officials are usually aboard the fast ferry and aim to complete the paperwork for all passengers before they arrive in Tangiers – but sometimes they don’t and it gets finished on arrival. As mentioned previously, Tangier is one hour behind Spain. Did you know John Lennon married Yoko Ono here? 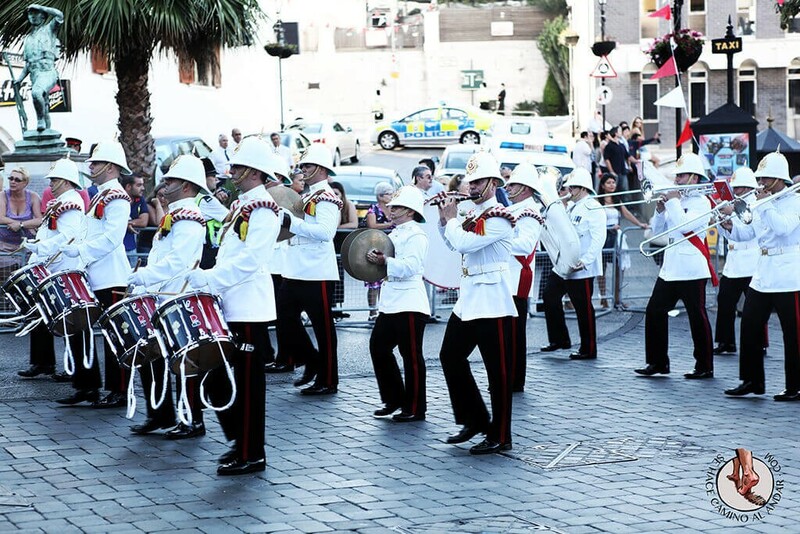 In addition to being a popular wedding venue, many visitors go to Gibraltar to see THE ROCK, the native barbery apes, British bobbies, the street signs in English and perhaps undertake a bit of VAT free shopping in this tiny enclave that takes up less than 7km. After the first hour or so when you scratch under the surface a little, you will realise there’s a lot more to this place than Union Jacks and Marks & Spencer. Peak season here is July & August, so we recommend April, May, June and September and October – when the temperatures are still very welcoming. Gibraltar’s National Day falls on 10 September and is a good opportunity to taste some of the local dishes and experience local traditions first-hand also. The fastest way to get into Gibraltar from Spain is as a foot passenger. You can also drive in but you might have to wait at border control. If you are driving to the border, park on the Spanish side in La Linea de la Concepcion (in one of the carparks) and walk across border to meet your pre-booked tour bus, if doing a group tour, or continue walking to the city centre if visiting independently. 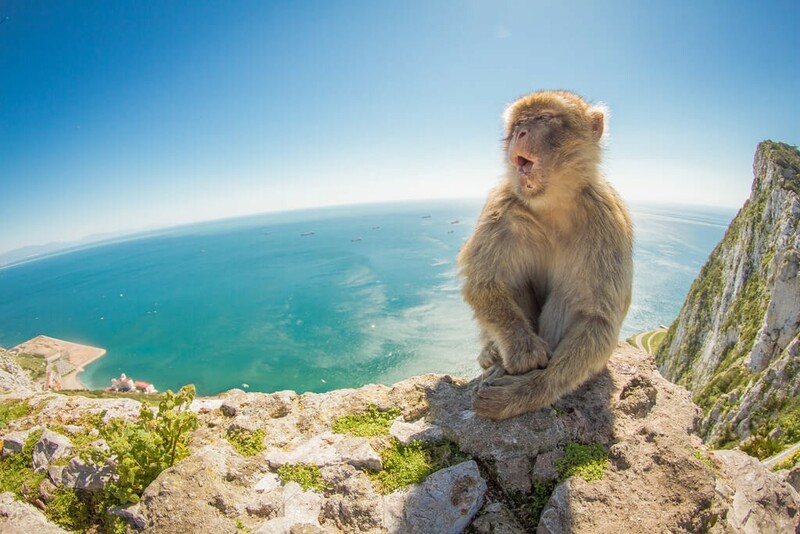 Europa Point is the southern tip of Gibraltar, the Pillars of Hercules offer wonderful views of Africa and St. Michael’s Cave is an illuminated cave and possibly the best-known attraction but if you ask anybody at the border, most people want to see the tail-less monkeys. You can visit them at a number of locations – remember these are semi-wild animals and will bite if they feel threatened. Don’t feed them – they are well looked after and you could be fined. History buffs will already know that the Rock is honeycombed with over 50 km of tunnels constructed over the course of nearly 200 years principally by the British Army and will want to visit some of these – we highly recommend this as a way of comprehending this small section of the Iberian peninsula. 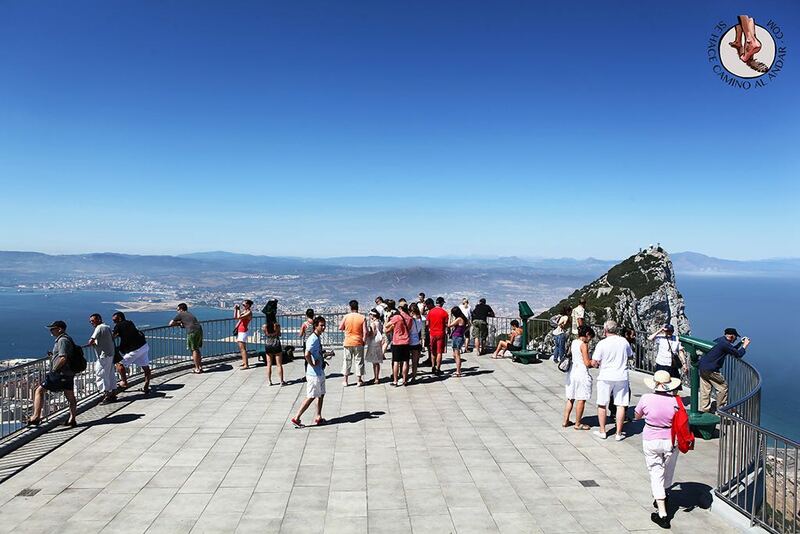 Although language will not be an issue and your personal security is not a concern, we recommend taking a private tour for Gibraltar especially for travelers with mobility issues (whether that’s somebody with a walking stick or a young family with buggies). The Rock is exactly that and access to some of the popular spots can be an issue. If you hire a private driver, you really can get around the enclave quickly. Your guide will tailor the stops to your group and it’s the best way to hear about life as a Gibraltarian. If you are travelling here from Spain, you probably want to sample what’s different here. Yes, you’ll find plenty of English pubs and taverns serving British staples but we generally find ourselves tucking into the International eateries including Indian, Italian and French that are harder to come across in Spain. Wherever you dine, you’ll find many influences from Malta, Genoa, Portugal and of course Spain and Britain – a true melting pot of cultures. If you see ‘calentita’ on offer, give it a try. It’s a pancake-like bake made from chickpea flour and is Gibraltar’s best-known dish. 16 Is a daytrip to Gibraltar enough time? There are many quality hotel options available but it is only 6.8km of land so a daytrip will allow you lots of time to see the main sights, do a bit of shopping, taste some of the food and enjoy hearing English again. Do keep an ear out for the local lingo, Llanito, which embraces words from Spanish and English but also Genovese and Hebrew too. Interestingly, the Rock is a great stopover for Jewish travellers observing Shabbat. 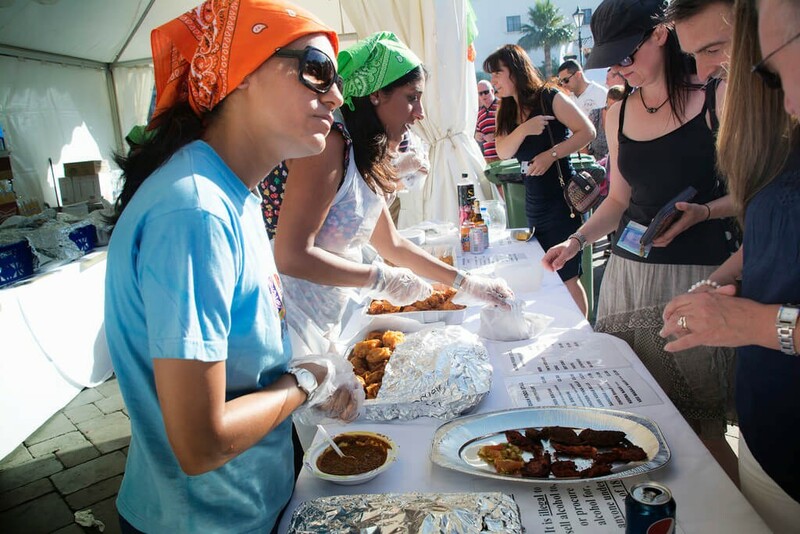 There is an active Jewish community here, kosher food is available and we work with a fine hotel that’s very experienced in facilitating the requirements for observant Jews on Shabbat. Sterling is used in Gibraltar although most shops accept euro too. You can change your currency to the Gibraltar pound (GIP) inside the border, along Main Street and at the airport. You will need a passport to enter Gibraltar. It is part of the EU but is outside the customs union and the Schengen area. There are restrictions on the amount of goods you can purchase and bring back into Spain from Gibraltar – ask for up-to-date info at the border when you cross into Gibraltar. Posted in Active breaks, Andalucia, Getting Around, Morocco, Popular Posts and tagged Achakkar Beach, Algeciras, Asilah, Berber, bobbies, border, bus, calentita, camels, Cape Spartel, Chefchaouen, couscous, cruiseships, currency, Europa Point, ferry, harira, Hercules Cave, how to travel, itinerary, John Lennon, kasbah, La Linea, Llanito, macaque, medina, monkeys, Montagne Vieille, Moroccan food, Morocco, North Africa, passport, Pillars of Hercules, private guide, souk, Spain, St Michael's Cave, tagine, Tangier, Tangiers, Tarifa, Tetuan, tours, travel, VAT free shopping, Villa Josephine, when to travel.